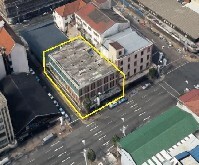 The subject property is located at the corner of Stalwart Simelane (Stanger) Street and Palmer Street. 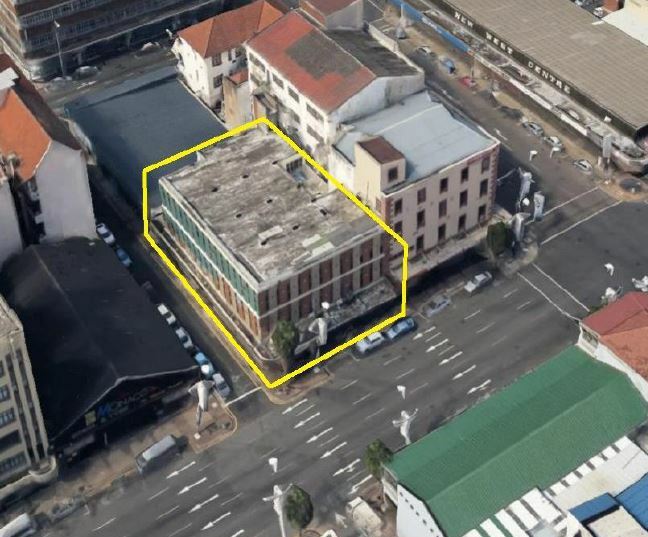 The property fronts onto Stalwart Simelane (Stanger) Street, approximately 200m from the Durban ICC Arena and within walking distance to The Victoria Embankment. The property falls within the Durban Central precinct, as per eThekwini’s new Urban Development Zone (UDZ). This is one of nine new precincts demarcated within the greater central city, together forming the UDZ. The aim of creating this zone is to stimulate new investment and urban regeneration to the central parts of the eThekwini city, through tax saving incentives applicable to new development or building restoration. The neighbourhood within the immediate vicinity of the property comprises mostly retail space on the ground floor and offices and flats on the upper floor levels. Some accommodation has been upgraded, whilst general landscaping and improved cleanliness and security have stimulated new investment in the area. Stalwart Simelane (Stanger) Street is a continuation of the M4 north bound Arterial Road which runs through the Durban CBD from the South Coast. The Durban Harbour is easily accessible as well as the N3 Freeway. The property is well serviced in terms of necessary amenities including emergency, medical, educational services and transport facilities. Contact Yianni for more detail on the property.